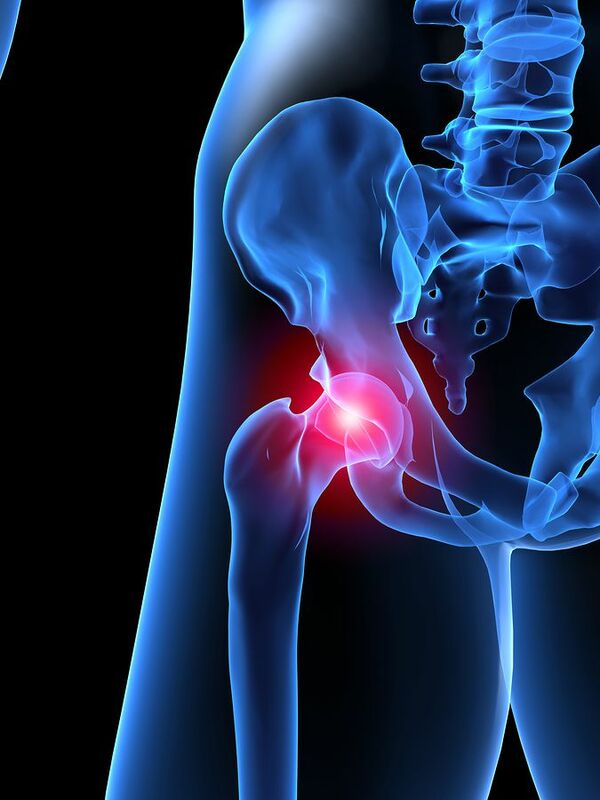 Hip pain can be caused by a number of conditions, including work related osteoarthritis, fracture, and rheumatoid arthritis. For those with severe pain, medication and rehab may not be enough to relieve it. If your pain is preventing you from living a normal life, you may opt in for hip replacement surgery. During this surgery, the damaged hip will be removed and replaced with a prosthetic one. A physical therapist will teach you how to sit up, bend over, and walk with your new hip. You'll most likely have to use a walker or crutches at first. Your doctor will send you home with strong painkillers and instructions for taking them. Everyday tasks like getting dressed and using the bathroom are going to be difficult for awhile. At first, you won't be able to lift even slightly heavy objects. You'll be administered blood thinners to help prevent blood clots from forming in your legs. Although most hip replacements are successful, it's possible that your condition will not improve. Even after physical therapy and rehab, you may be unable to return to your job. If this happens, you can file a claim for Social Security Disability (SSD) benefits. When seeking SSD benefits, it's important that you have medical records, statements from your treating doctor, and other documentation that show your limitations. Proving a disability claim after hip replacement surgery is extremely challenging. While your doctor will be a key partner in the process, it's also a good idea to hire a Morris County SSD lawyer. Manfred Ricciardelli will make sure you have the documentation you need in order to qualify for SSD benefits. With his help, you'll be able to focus more on your recovery and less on the legalities of your case. For a free consultation, contact us today at 973-285-1100.